Software Support All Version of Outlook Like 2013, 2010, 2007 Etc. 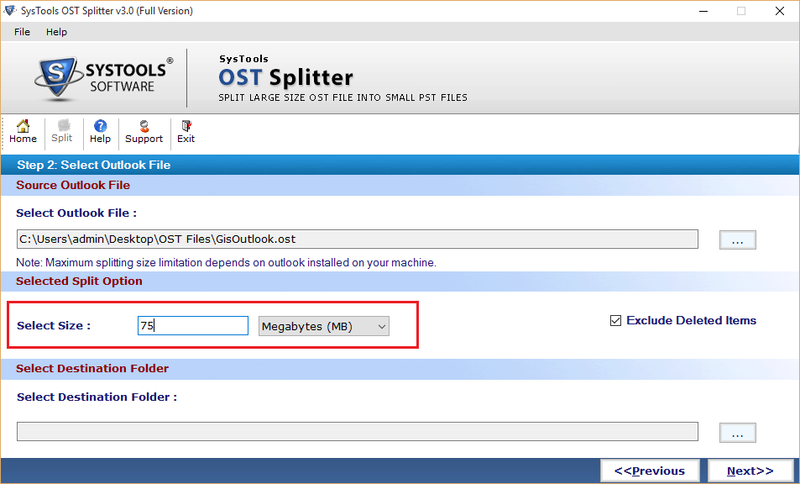 Outlook OST file size is growing day by day and you want to reduce its size. 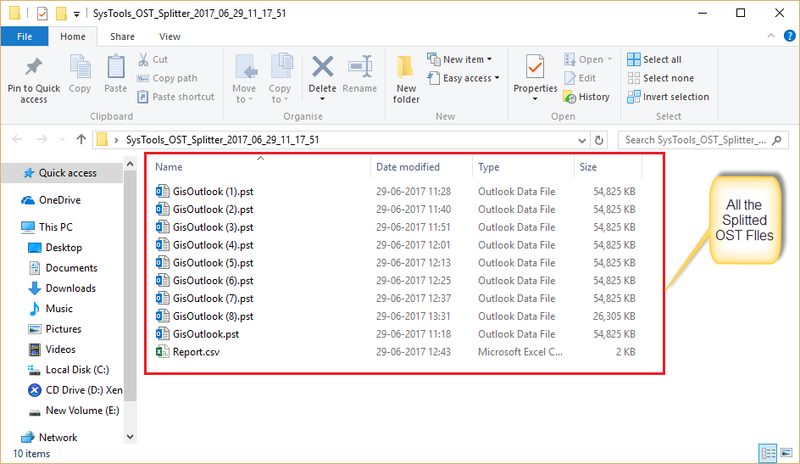 Download this Outlook OST File Splitter Software and easily divide single ost file into multiple .ost files without loosing single bit of your valuable information. The software enables you to set the size according to your need. 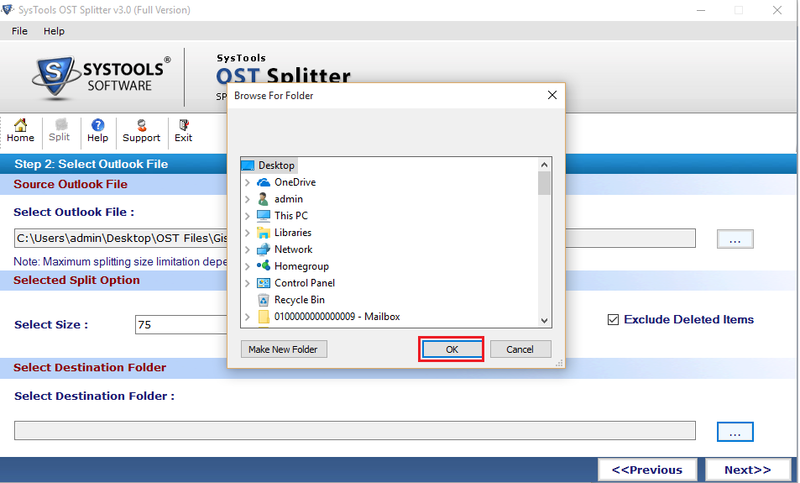 The OST Splitter Software facilitate user to split ost folder and enable you to create separate .ost file for each folder. Also Tool can reduce size of ost folder by dividing into multiple files. The software support all version Outlook OST file like Outlook 2013 and Outlook 2010. Also support to split archive OST File. 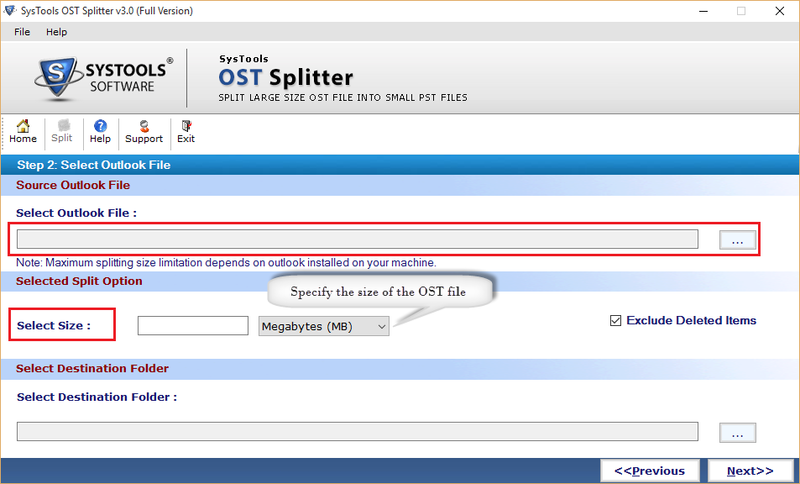 With This feature of OST Splitter Tool user can reduce size of ost file by provide fixed size of .ost file. The software will truncate OST file into multiple segment and avoid ost file corruption issue. The OST file will corrupt when reaches to its maximum size limit. To avoid it set a ost size range and software will split it when reaches to specified size. 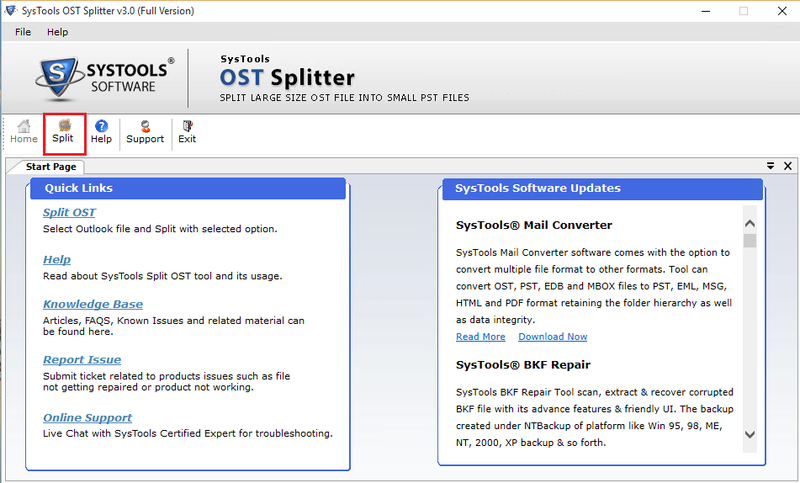 The Outlook OST Splitter Software provides wide range of useful features. It provides an option to split ost file by year. This feature of the software enables users to break ost file yearly. In this user need to provide year range like 2013 to 2020. In this situation software will create 7 .ost file, one for each year. 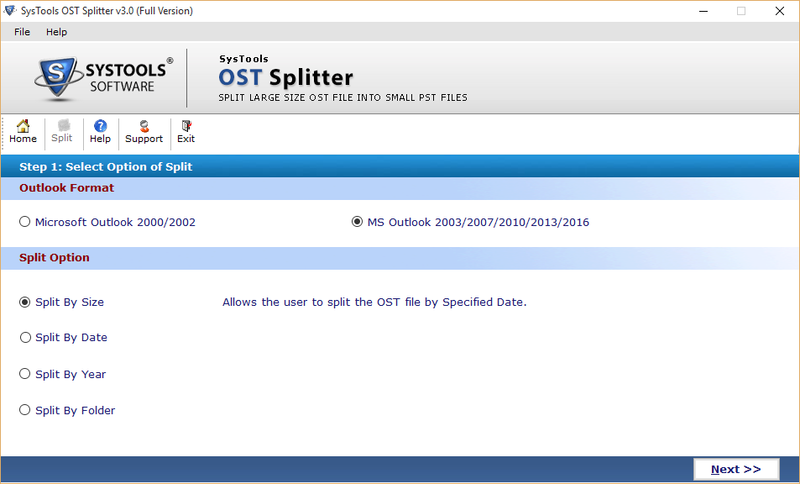 The OST File Splitter software provides very useful feature that enable user to split oversized ost file by date. In this user need to provide date range and resultant ost file size only. The software will automatically include only those emails which lies in the range of specified date. The ost file split Once the size of ost file reaches to specified size. 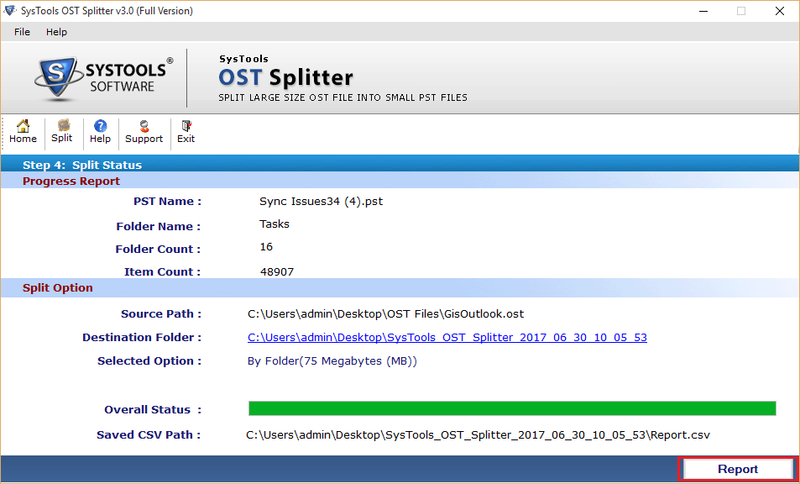 The OST Splitter Tool can easily break single large ost file into multiple reduced size ost file easily. It also ensure for safe and secure split process so that the data loose become zero. The software provides option to save resultant .ost file in new folder at any location on the host system. 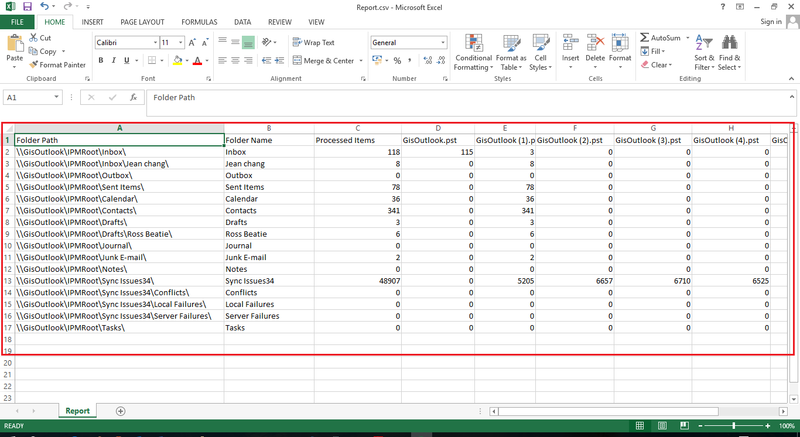 And by default the .csv file will also save on same location. 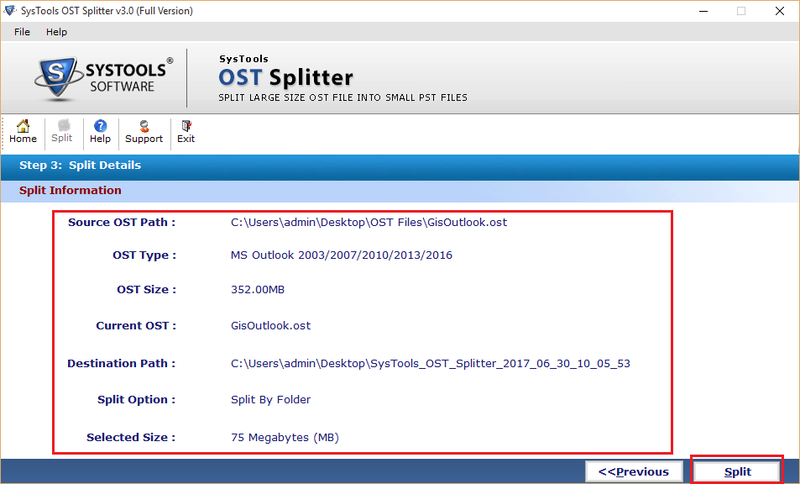 Can Software Split OST Created By Outlook 2013? Yes, The tool is designed in such a way that it can split outlook 2013 ost file along with 2010, 2007 etc. Will the Software Split Corrupt OST File? No, The utility can not divide corrupted ost file. In this situation you need to fist scan the ost file and perform splitting process. Is the Software is compatible with Mac OS? 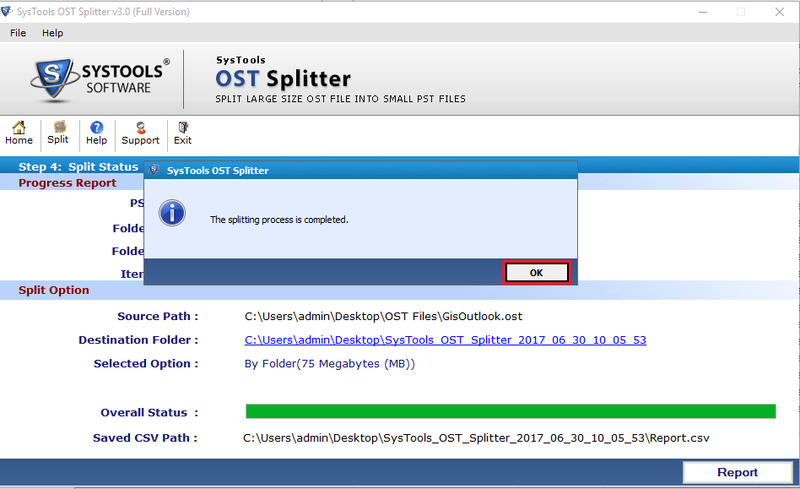 No, The OST Splitter Software is compatible only with windows os. And it support all versions of windows os like win 10, 8, 7 etc. What is the Maximum Size of OST File that can be Split? The software is designed in such a way that it can split any size ost file. So there is no file size limit. 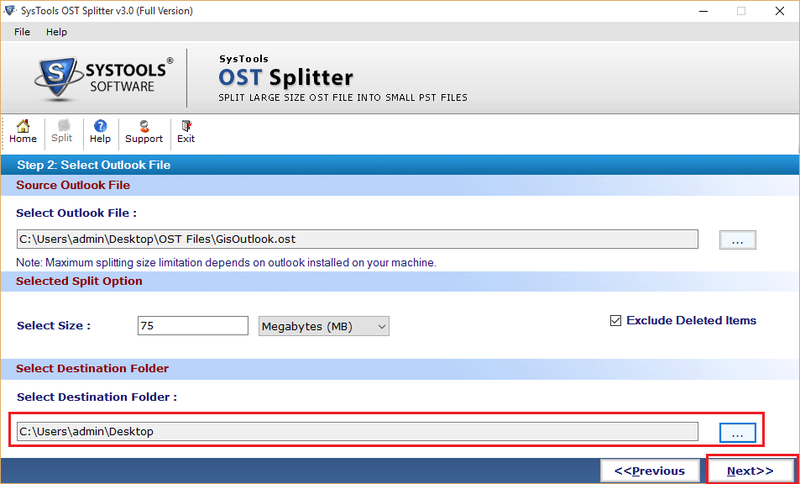 Download Outlook OST Splitter Software on your system. After Installing the home window of tool will appear. Click on Split from menu as shown below. On the next menu select the version of the OST file i.e. Microsoft Outlook 2000, 2002 or Microsoft Outlook 2003, 2007 or Microsoft Outlook 2010, 2013, 2016. After that Select the filter according the OST file is to be split like Split by Size Split by Date, Split by Year, Split by Folder, Split by Size. You can select any filter to split ost. Here I am explaining only Split by Size option. Click on the “..." button to browse and select the required OST file. 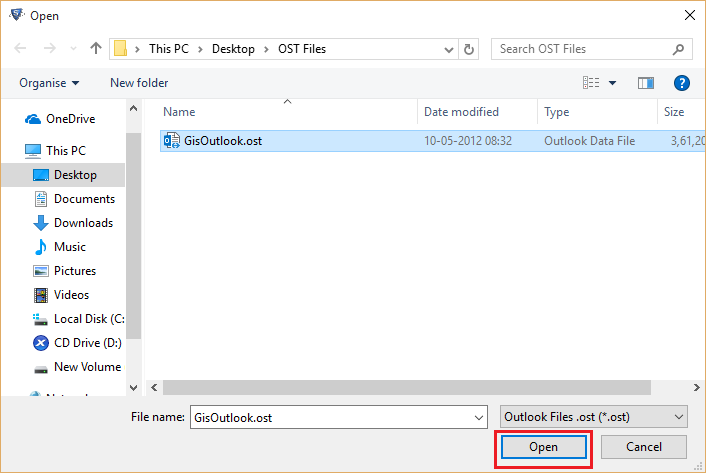 Navigate to the required OST file location and click on Open button. Now, the path of the selected file will be displayed as follows. Also specify the size in which the OST files will be split, you can select MB, GB etc. For size. After that click on “...” from Select Destination Folder section. As you click on “...” a pop up will appear. Here you can either select any pre existing folder or create new folder to save resultant file and then click on OK.
Now after providing destination folder click on Next. 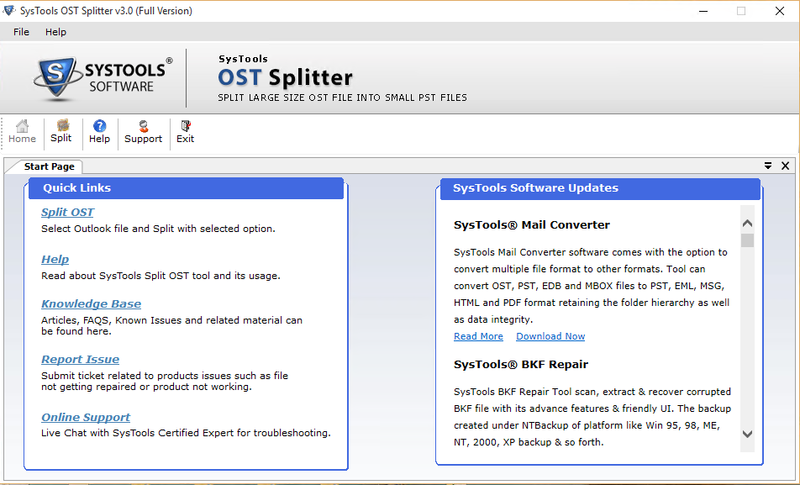 Here software will show details of selected ost file simply view and click on Split button. Now software show the summary of split process, wait for completion. View Successful Split Process completion message and click on OK.
Once the process is completed, Click on the Report Button. Now, You can view the report of the whole process. You can view the final OST files that are split in the specific location. 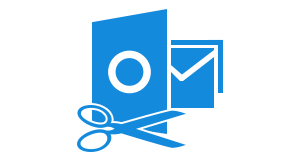 "It was a wonderful experience of using SoftwarePro Outlook OST Splitter Software. I was facing many problems in managing the large ost file. Then I searched solution to split ost and found this amazing utility. The free demo version of the software helped me to analyse the working of tool without investing any amount. Thanks a lot to the development team!!" "Almost I lost my data from OST File because some KB were left to reach its maximum size limit. Luckily I checked before disaster and avoid data loose condition. 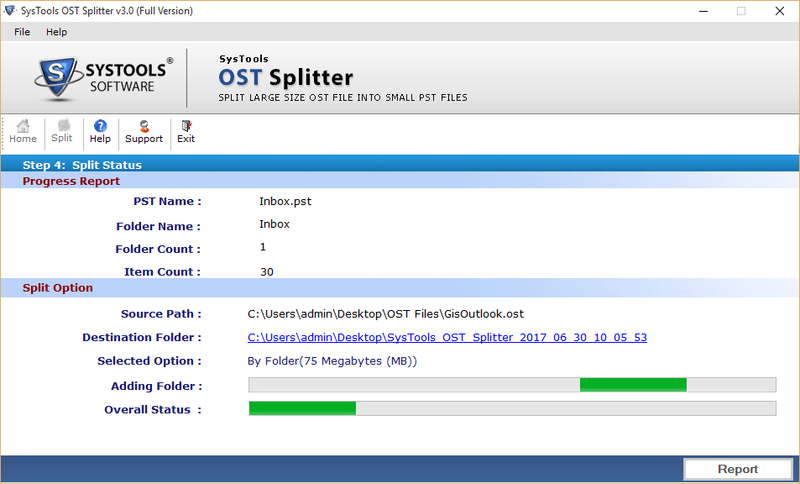 I downloaded Outlook OST Split Software and divided large ost into multiple small ost files easily. The software posses many useful feature that helped me to break ost file without any hassle. Thanks to the support team for their help throughout the split process!"